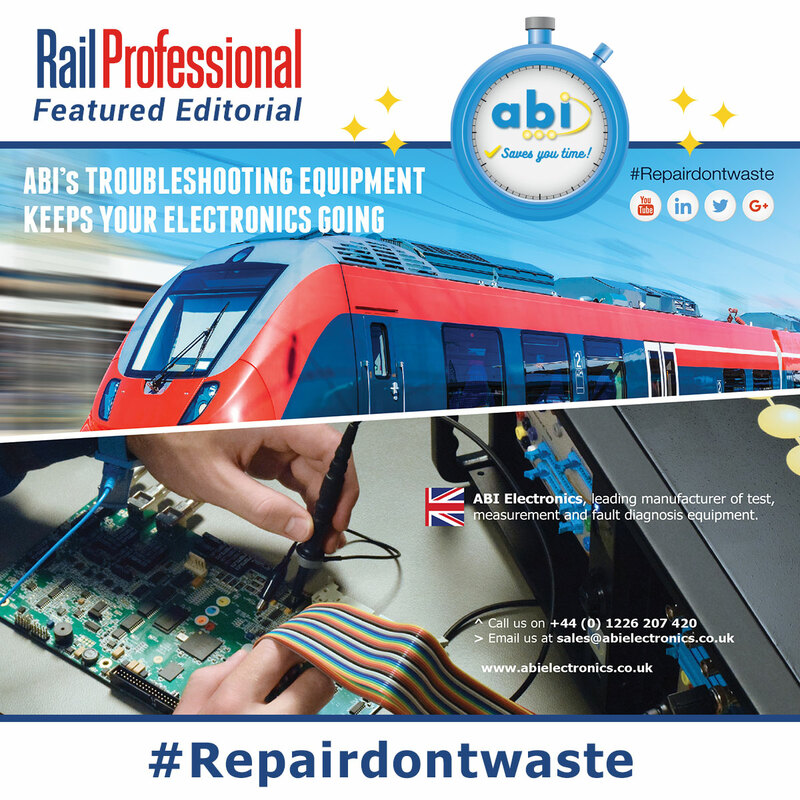 We are proud to announce that one of the leading publications aimed at the railway sector, the Rail Professional Magazine, has published an editorial on ABI Electronics in this month's issue. Throw in the pressures of recruiting - and keeping - skilled staff whilst maintaining critical assets working 24/7, and you have a perfect storm brewing. ABI Electronics helps rail operators and suppliers deal with these issues having developed hardware and software products that are easy to use, affordable and supported all over the world. Despite being built to last for many years, electronic railway systems commonly suffer from a lack of maintenance documentation and the rapid acceleration of technology. As a result, expensive and vital assets may be deemed obsolete in a matter of only a few years. Relying on the OEM or external service companies may be a rational, yet expensive option as these organisations run on a different timetable, may operate from an office located thousands of miles away and can take months to return critical components, sometimes unrepaired. Metro companies and rail network operators often run electronic support shops to respond to breakdowns more efficiently. However, keeping electronic depots relevant and sustainable in the long run is not an easy task. As the maintenance procedures are based on the technology currently in use, repair documentation, test rigs and know-how accumulated over decades may fall into disuse when key staff members leave or retire, the fleet gets modernised or replaced without a plan being previously discussed or implemented by the administration. Established in the UK in 1983, ABI Electronics is a manufacturing company that provides the rail industry with the technology required to keep new, as well as ageing, electronic equipment running. 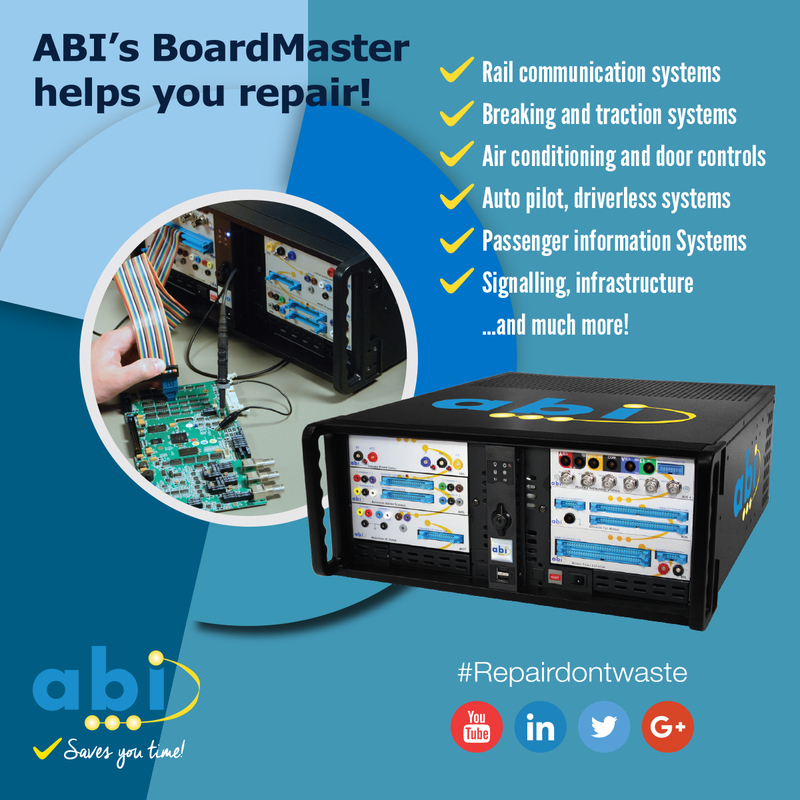 ABI's BoardMaster Universal PCB Tester is the most recognised troubleshooting equipment currently employed by leading companies operating in the railway sector, from San Francisco to Beijing.